Who's up for a night of fun, laughter and tummy aches? I mean tummy aches from laughing too much because famed stand up comedy show 'Laugh Die You' returns with politics in mind! 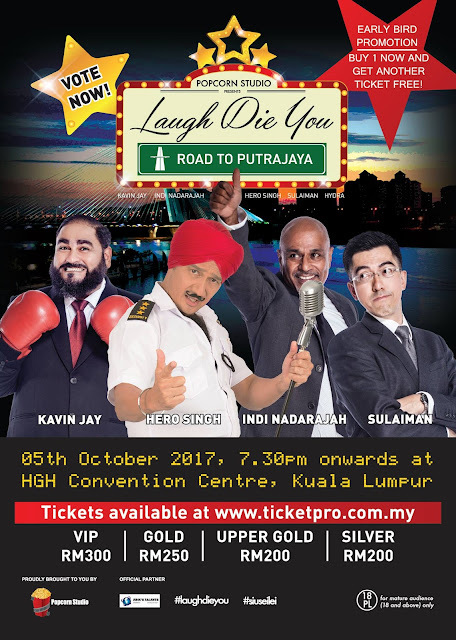 Malaysia's fastest growing comedy show Laugh Die You is back once again featuring a host of comedy kings to tickle your funny bone. With its' theme, Road to Putrajaya, the series takes a quirky approach on political satire and all things Malaysian. 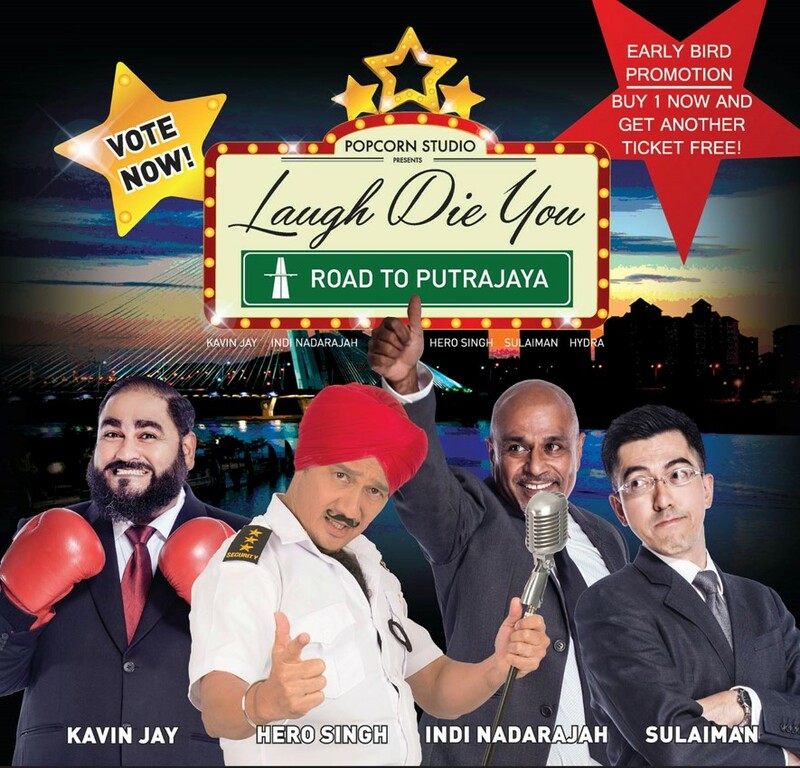 Laugh Die You franchise had its 1st show in 2015 and has entertained more than 36,000 pax throughout Kuala Lumpur, Genting Highlands, Penang and Singapore; making it one of the most successful, fastest rising comedy shows in Malaysia. 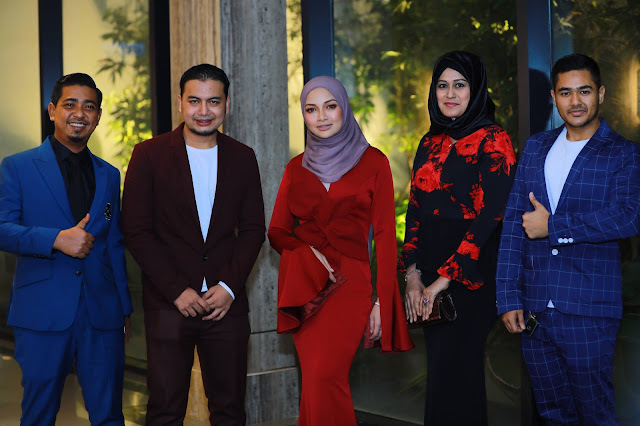 Owing the success to our talented local and abroad comedians such as Harith Iskander, Douglas Lim, Jonathan Atherton, Kuah Jenhan, Kumar, Fakkah Fuzz, Joanne Kam, Papi Zak, Mark Lee and Gurmit Singh. Welcome the one and only GURMIT SINGH - taking on the persona of HERO SINGH, the lamboyant, singing chief of security for the show promises fun and games all night through. Gurmit Singh, widely known as his alter-ego Phua Chu Kang celebrates 20 years of pioneering the comedy industry both locally and internationally. 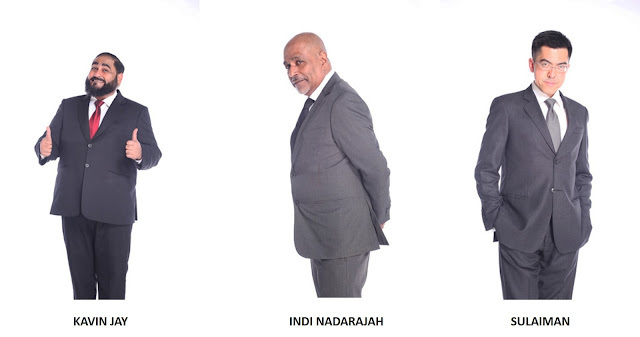 Joining him is legendary comedian, INDI NADARAJAH with over a decade of comedy experience up his sleeve and KAVIN JAY, one of Malaysia's most sought-after comics. Filling up the quota is SULAIMAN AZMIL, layer by day and stand up comedian by night, saving the nation with his trials and travails as a tax-paying Bumiputera. You can be sure that there will be much funny political jokes coming from him that night. 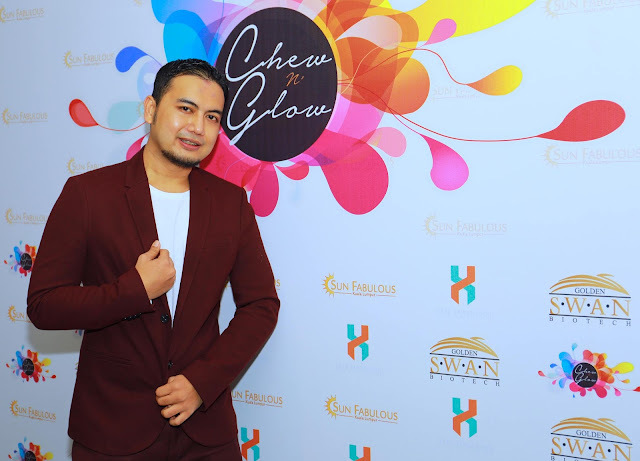 I can't wait for the show happening on the 5th of October at HGH Convention Centre, Sentul. Hurry get your tickets via TicketPro before they are all sold out. 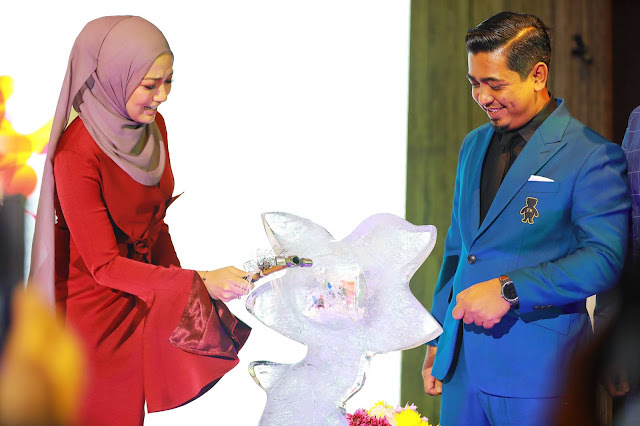 By the way, Astro subscribers will get to enjoy a 30% discount on purchased tickets. 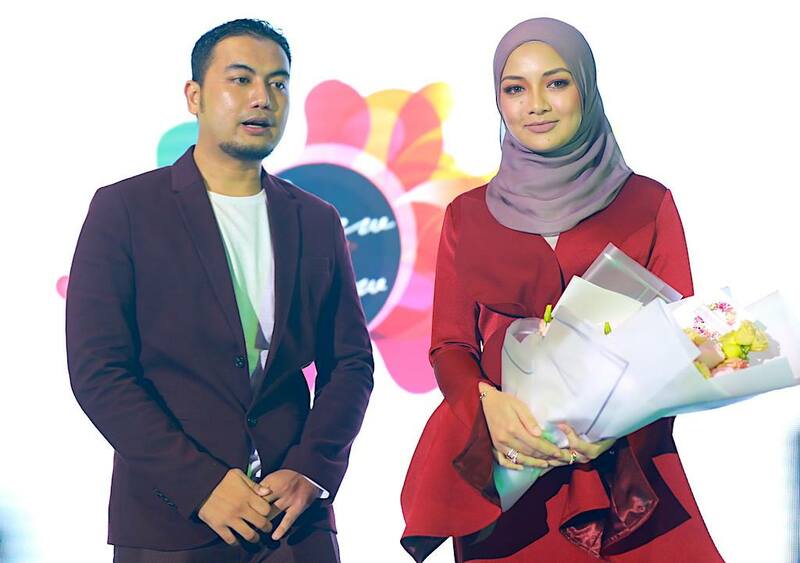 Hands up who's from Klang! 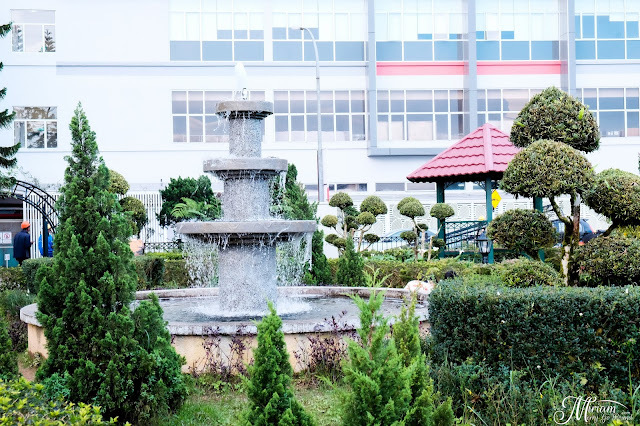 I'm not very familiar with Klang besides knowing that it's famous for bak kut teh and also because of a friend of mine who's crazy about a steamboat place in Klang. Yup, we actually travel to Klang just for steamboat so you can guess how crazy he is about the steamboat place. Anyway, the only two malls I know in Klang is AEON Bukit Tinggi and Klang Parade. I've been to Klang several times for work and also to explore some of the good makan places. Recently I heard that Klang Parade is having a Jom Makan campaign that you not only get to enjoy tasty food offers but also get to redeem some gifts at the same time. So let's see what is there to be offered in Klang Parade. One of the places I normally would check out in a mall would be the Food Court. Now before you start judging, let me tell you that there are some mall food courts that serve pretty good food. Plus it's so much more affordable especially when you are on a tight budget. You know sometimes when you are out with a group of friends and no one can decide where to eat? Next Food Junction is the best place to go! 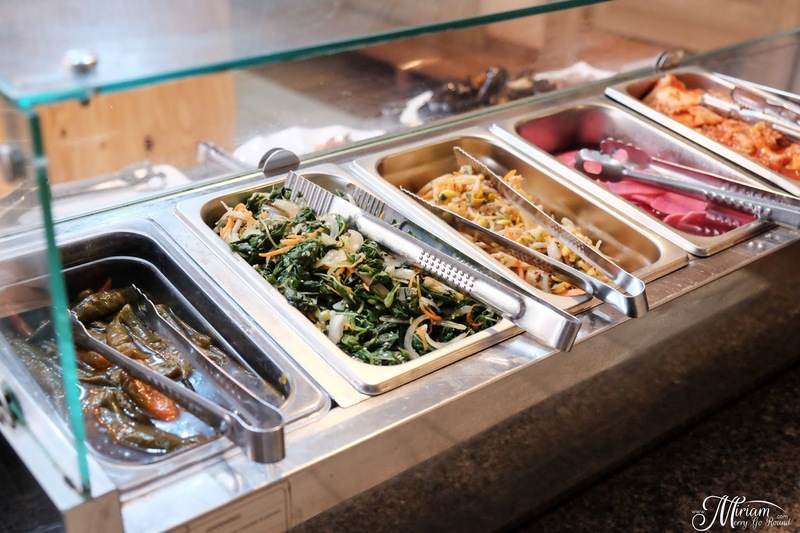 Doesn't matter if you like Chinese, Japanese, Western, or Malay cuisines, you can find it at Next Food Junction. Just take your pick from noodles, rice, western dishes and all at an affordable price too. My pick would be the Portuguese Grilled Stall especially the Ikan Pari Asam with okra. Yums! Another affordable makan place in Klang Parade would be Pat Kin Pat Sun. 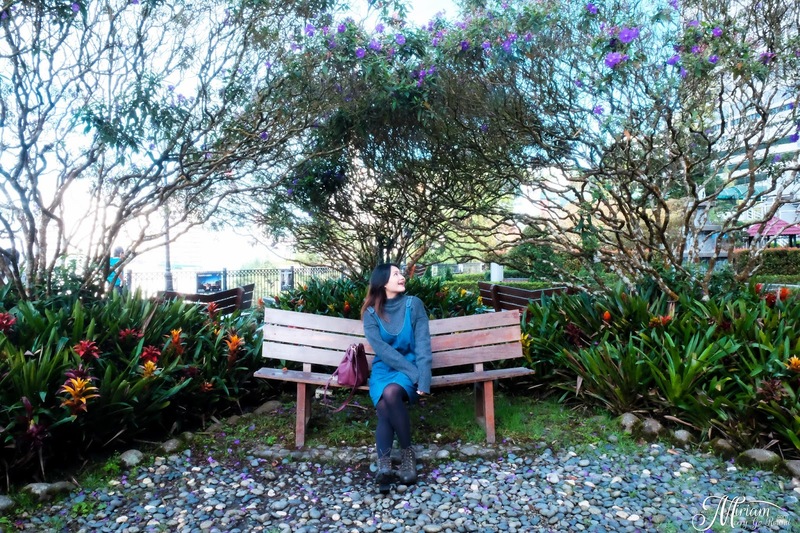 In Cantonese it actually means I/We won't leave until we meet. It's kinda like what you would say to a friend that you've made arrangements to meet up. This is a rather new eatery in town with a similar concept to Kim Gary or Wong Kok. 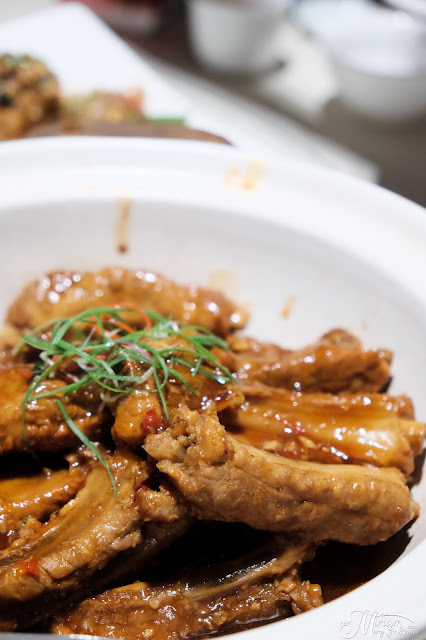 Serving Chinese fusion dishes as well as some Western dishes, you can consider their set menus when you're out with your friends. 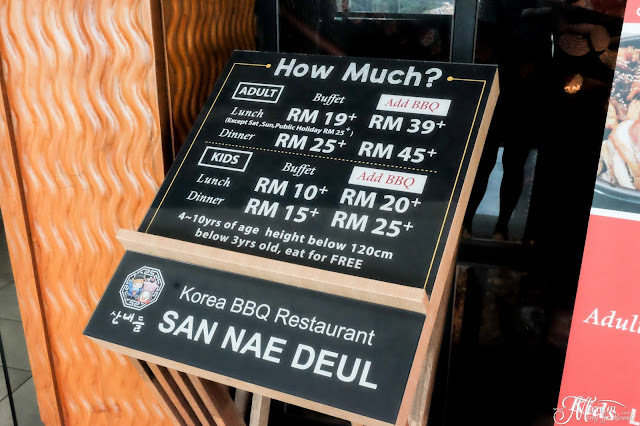 Prices are pretty affordable as the slightly pricier options are like steaks but you can get a pretty decent meal for around RM 10 to RM20. Those of you who have similar taste like the boyfie, I think you would find Texas Chicken appealing. The pug alternates from KFC one day to Texas Chicken another. I personally prefer Texas Chicken but only because they have to-die-for Honey Butter Biscuits. I mean.. have you guys actually tried the Honey Butter Biscuits? Because they are just so good. Just give me one of these and I'll be purring like a kitten. Feeling hungry already? 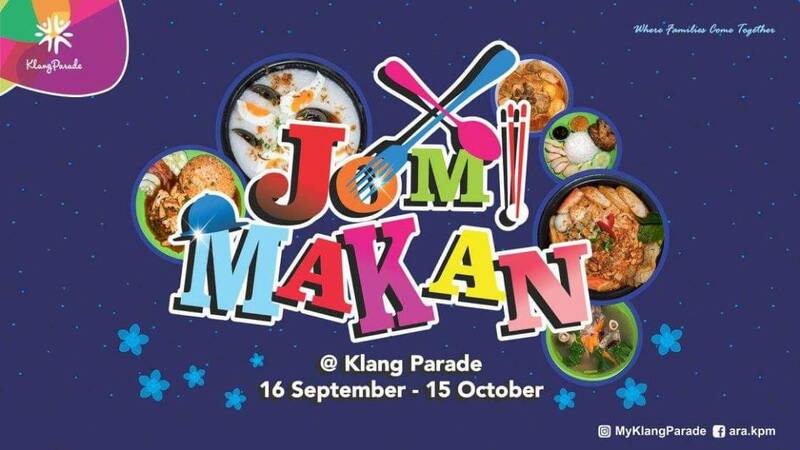 Calling all foodies out there for a 'makan' session at Klang Parade. 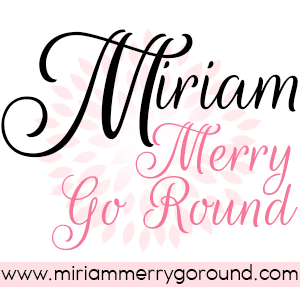 Let's hang out and have a 'makan' session and redeem some gifts too. 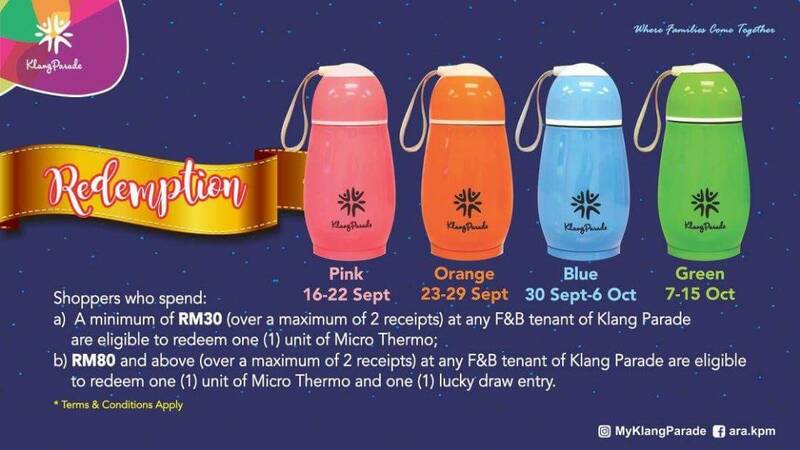 With every RM30 minimum spending at any F&B tenant in Klang Parade, you will be able to redeem their exclusive Micro Termo. You have until 15 October to redeem them. Not only that, if you spend more than RM80, you also get a lucky draw entry. 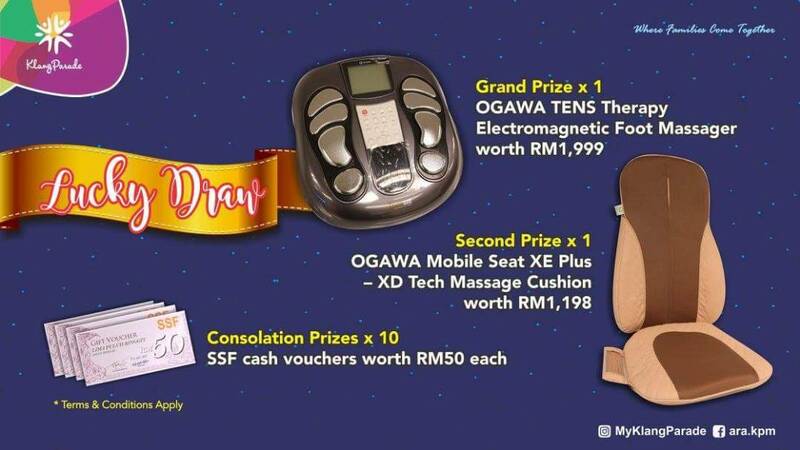 The grand prize is the OGAWA TENS Therapy Electromagnetic Foot Massager worth RM1,999. So for those of you who have tired feet after shopping all day long, this would be perfect. Honestly there is nothing to lose since you have to eat anyways. So just dine at any of their outlets and spend more than RM80 to get a lucky draw chance. 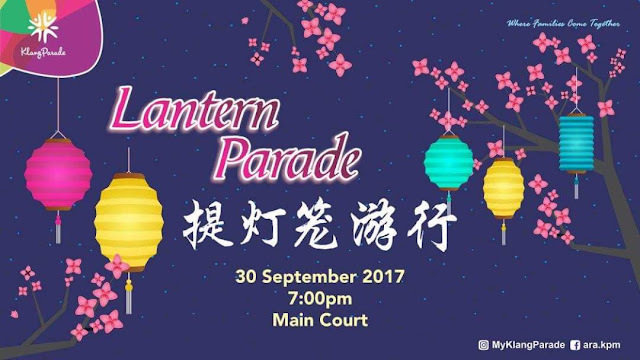 Before I end my post, Klang-nites make sure to check out the Lantern Parade happening on the 30th of September in conjunction with Mid Autumn Festival. I'm sure the whole Main Court would be gorgeously decorated with lanterns. What better way than to spend some time with your family eating mooncakes and playing with lanterns on such a special night. Wait no more.. so who's up for a 'makan' session? For those of you who have not heard the news, Di Wei Chinese Cuisine Restaurant located in Empire Subang has recently launched a new menu. This brand new menu with over 30 new dishes features healthier menu options without compromising on taste. It has been a while since I last visited Di Wei but my first visit left an unforgettable impression on both my memory and palate. 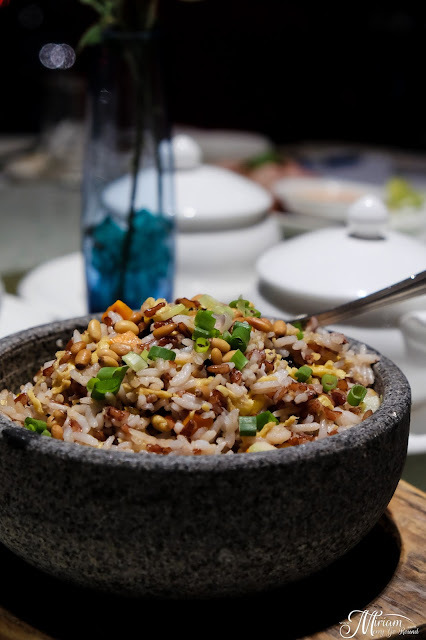 Di Wei is famous for their mastery of traditional Chinese cuisines now includes a dedicated Vegetarian menu. 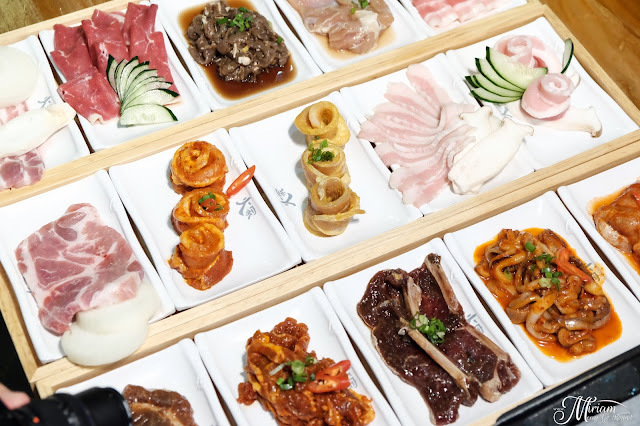 It's no doubt that Executive Chef Thian, is the mastermind behind the innovative dishes as he offers Sous Vide specialties commonly used in the West. Let's not talk any further but start indulging in the mouthwatering dishes from Chef Thian. 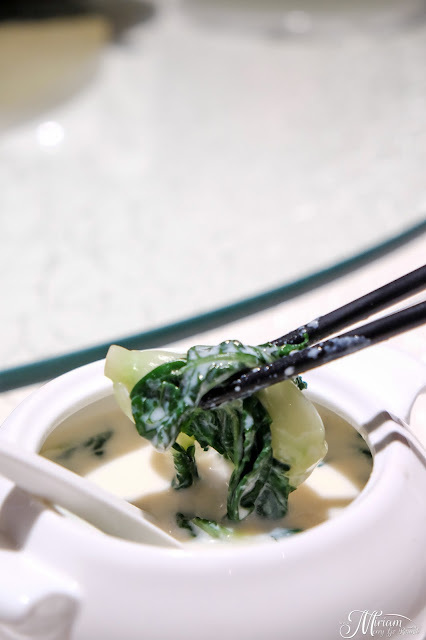 We were first served with an interesting dish of Poached Vegetables in Soya Milk Broth. It was really something new for me because I normally think of Soya Milk as a dessert or a sweeter drink. Never occur to me to use it as a soup base. 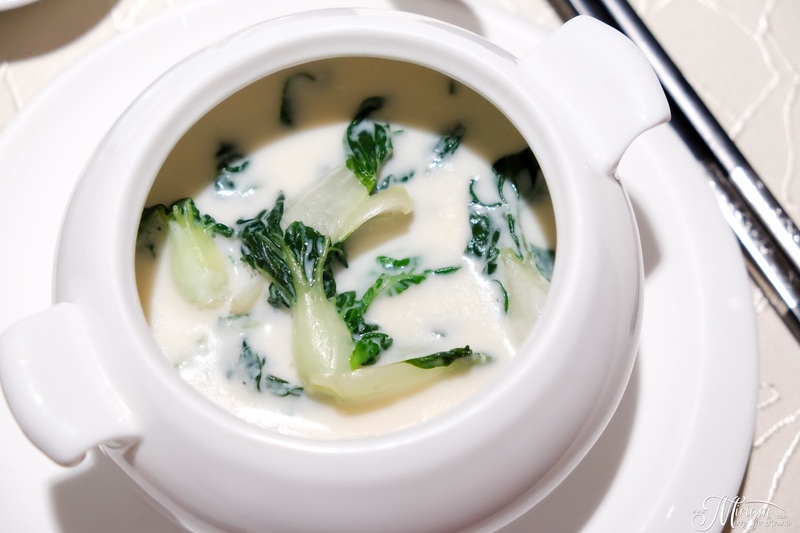 The vegetables were poached perfectly in the soya milk broth which was savoury and blends well. The first sip was confusing at first but it will gradually grow on you. Our meal picked up especially at the first bite of the Deep Fried Salmon Skin with Salted Egg Yolk. Oh boy.. this is just heavenly! 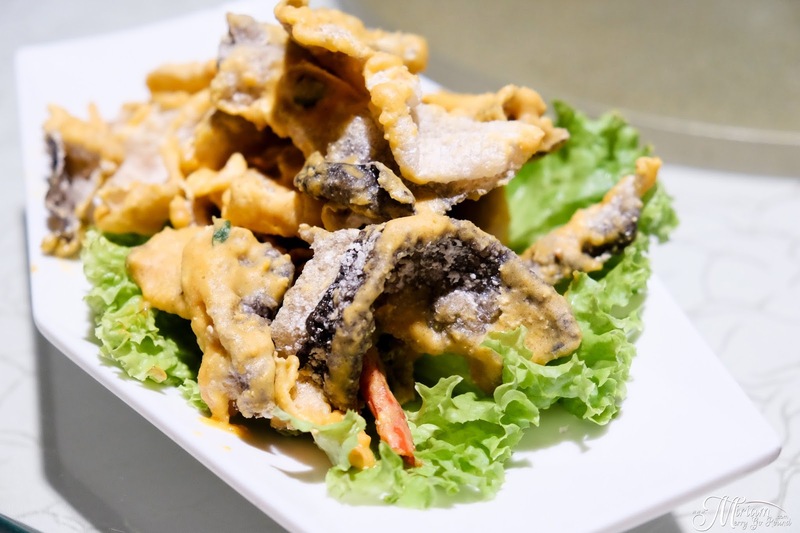 The crispy salmon skin just breaks as you bite into it and you get this burst of aromatic flavors from the salted egg yolk coating. Surprisingly not oily, this is the perfect snack if only I don't count the calories. Really love this appetizer. According to Chief Thian, he actually air dries the salmon skin before frying so that it doesn't absorb too much excess oil. Plus it gives the finished product that crunch that everyone loves. We were then served with Deep Fried Homemade Seafood Bean Curd which is made in house using a mix of fish, pork and shrimp paste wrapped in egg tofu. 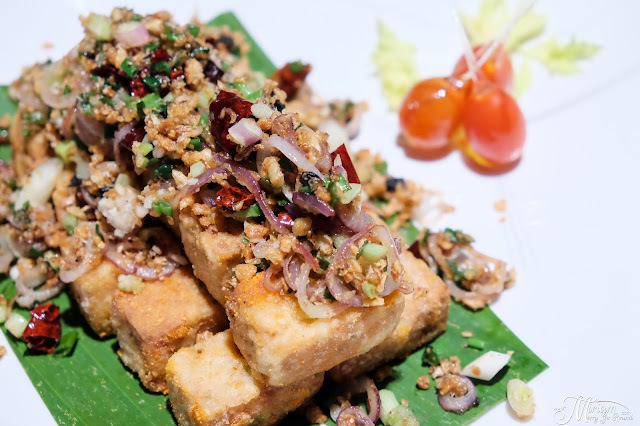 The egg tofu is also made by Chief Thian and this simple dish is elevated with fried dried shrimps, garlic and dry chili. 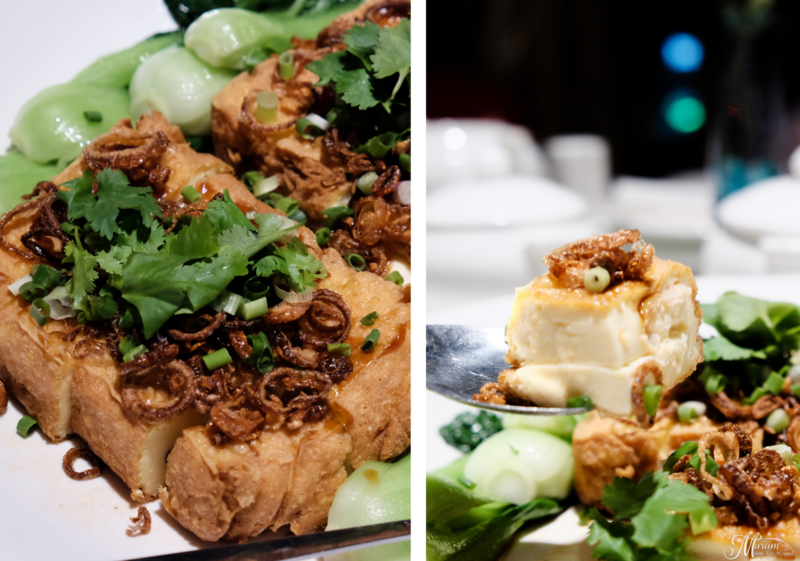 Another star beancurd dish would be the Deep Fried Thousand Layer Bean Curd. Accomplishing this dish wasn't an easy feat as Chief Thian experimented numerous times to keep all the layers in tact. Layering silken steam eggs and fish paste, the layers are repeated before deep frying. Smooth tofu with additional texture from the fish paste, you will definitely enjoy this dish. Just when we were thinking if the next dish would be another soya based dish, we were serve with Pan Fried Pork Neck with Homemade Sauce. Tender, well marinated and paired so well with the sauce. I was very attracted with the sauce which kept me guessing all night long on the ingredient used in the sauce. Without a doubt, Chief Thian used cincalok, a traditonal fermented shrimp paste that I love! 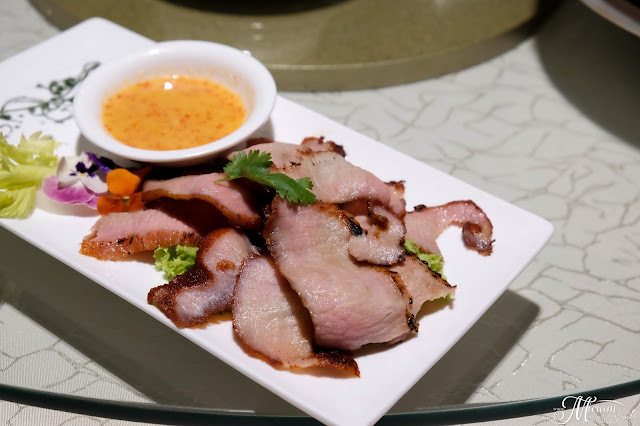 The taste just elevates the taste of the pork neck and makes it light on the palate. Adding on to the list of tasty dishes for the night is the Braised Tendon with Meat Balls & Sea Cucumber in Claypot. 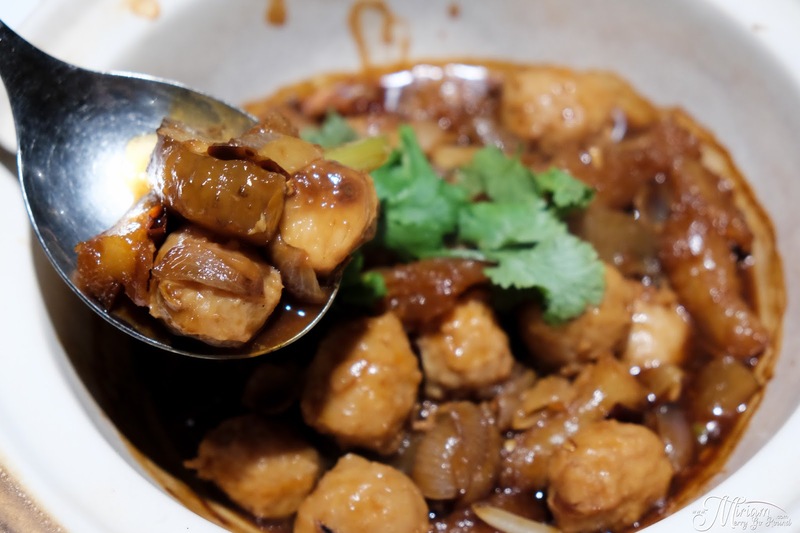 Generous with sea cucumber, in-house made meat balls and pork tendon all well braised in the superior sauce until each ingredient is packed with flavor. The Steamed Spare Ribs with Homemade sauce made me reach for a second piece. Tender pork ribs that just slips off the bone, well flavoured and a recommended choice. 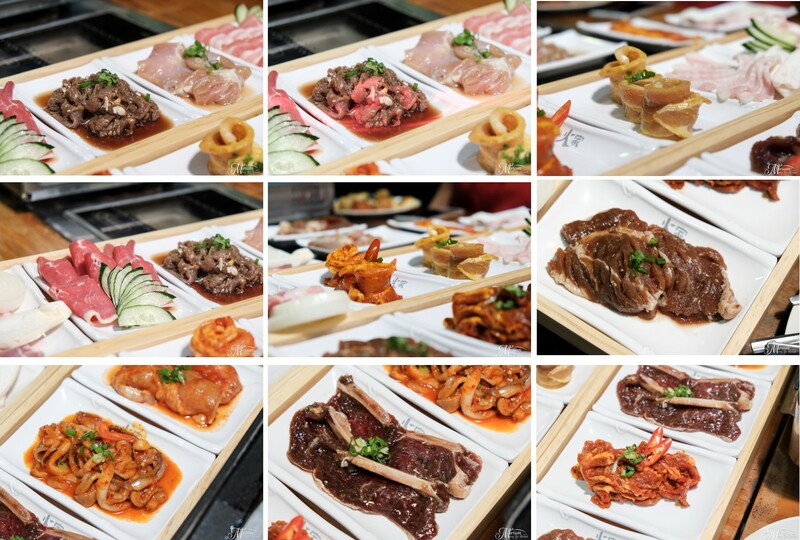 If all these dishes still doesn't fill you up, you can order the Hot Pot Fried Rice made with red rice. Just love this fried rice especially the boyfie who wallop the whole pot. For someone who loves his unhealthy food option, he really enjoyed the Fried Rice. Coloured with corn, mushrooms, broccoli, carrots, pine nuts and egg, this vibrant and healthy version of fried rice is just a delight to enjoy. Even the dessert served that night was a healthy treat. The Purple Sweet Potato with Pumpkin Cream is the dessert to go to for those who prefer healthier options. The sweetness of the desserts comes from the sweet potato and pumpkin itself with minimal sugar added. Although we were already so full, believe me that we actually finished it. So prettily plated, who can say no? I am still amazed with the array of dishes presented to us that night. Chief Thian really wowed us with his healthier dishes which did not compromise on flavor and quality. 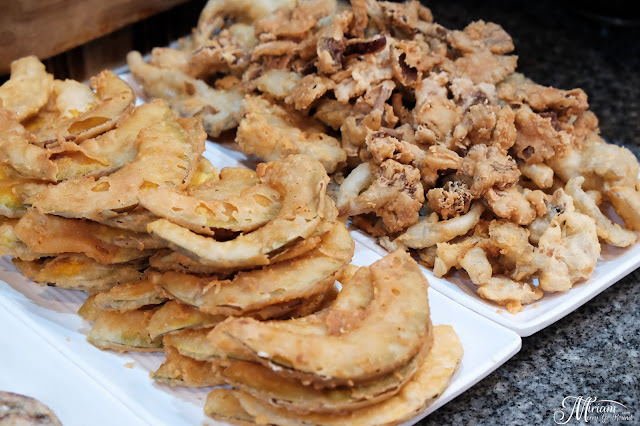 The dishes although deep fried or using pork neck wasn't oily or greasy. Even the presentation itself is so well thought of with pulled sugar decoration. 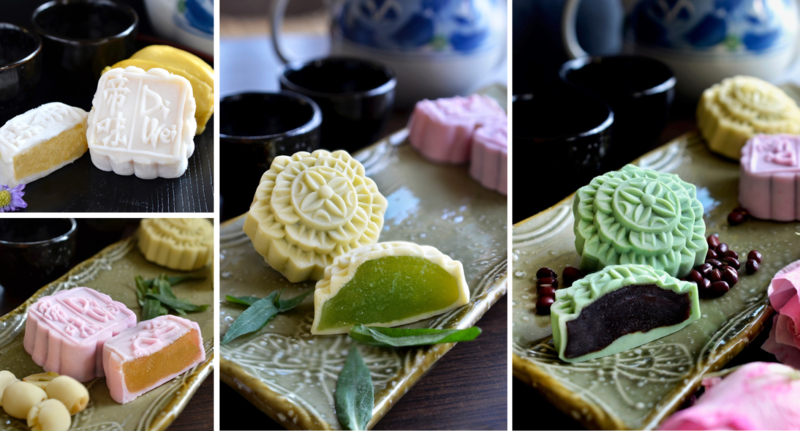 Also with the Mid-Autumn Festival coming up, savor on the assortment of mooncakes available at Di Wei. 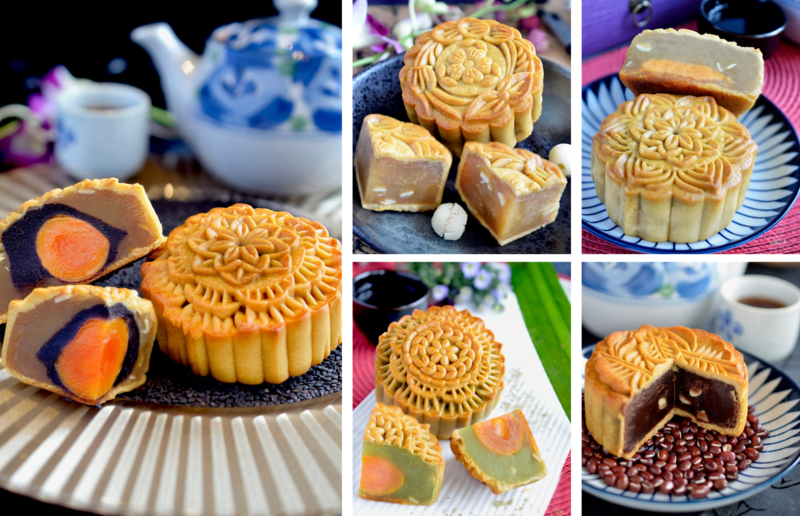 From baked mooncakes to snowskin mooncakes, you get a variety of traditional and twist of modern flavors. Some flavors worth trying would be the Beet Root with Durian and the Cempedak with Custard. 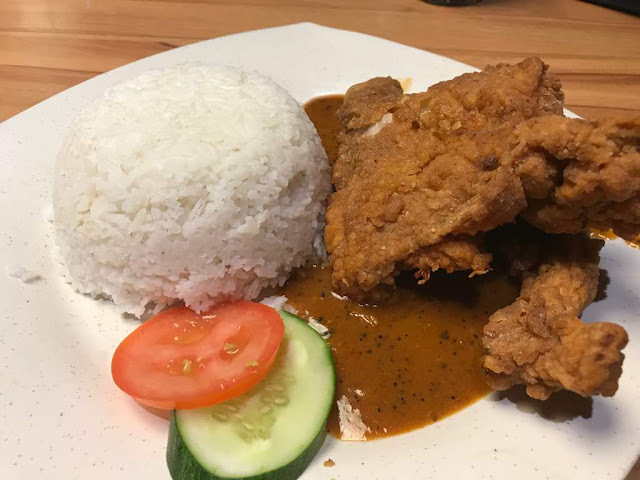 Both unique and truly Malaysian flavors. It's been a long hectic week that has been making me feel under the weather but... I'm back well fed and energized! With the current economy nowadays, I have been on the hunt for affordable food which not only tastes good but doesn't burn a hole in my pocket. 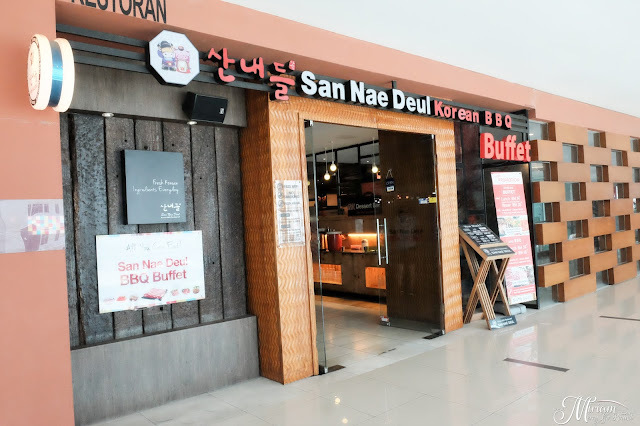 San Nae Deul has been in town for several years now but recently have been gaining popularity with their Lunch and Dinner Buffet deals. 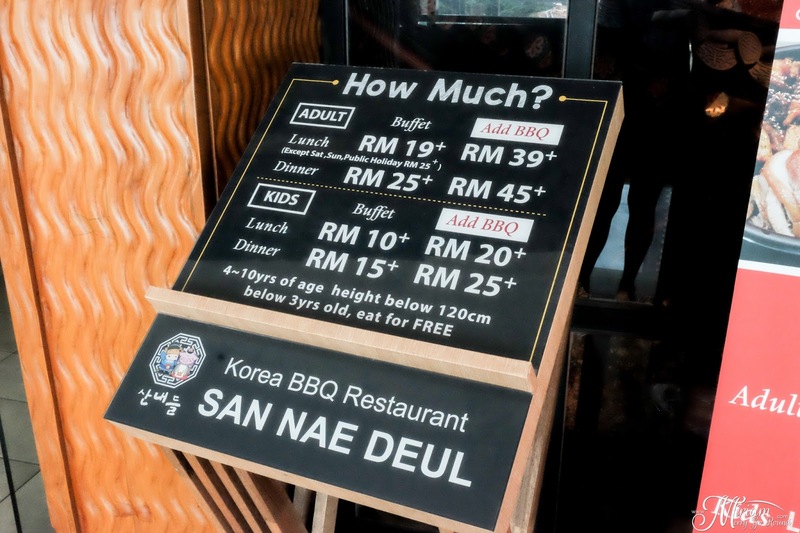 Setting one day as a cheat day, I headed over to San Nae Deul branch in Nexus Bangsar to check out their offerings. One thing great about coming to Nexus Bangsar on a weekend is the fixed parking rate. This means I can eat to my hearts content without worrying about the parking fee. I realised there are actually two different types of buffet deals - Buffet only or Buffet + BBQ. 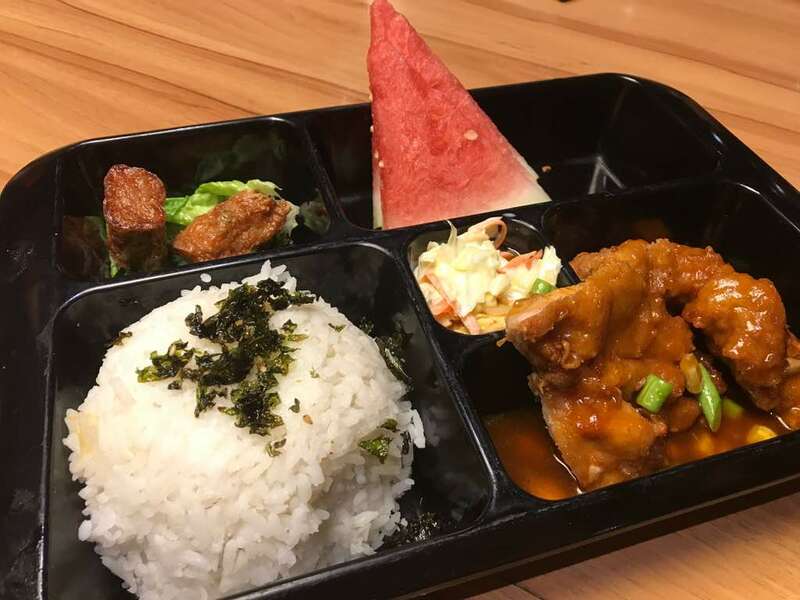 For the Korean Buffet, you actually get a Bento box that you can fill up with any dishes you want from the buffet line. 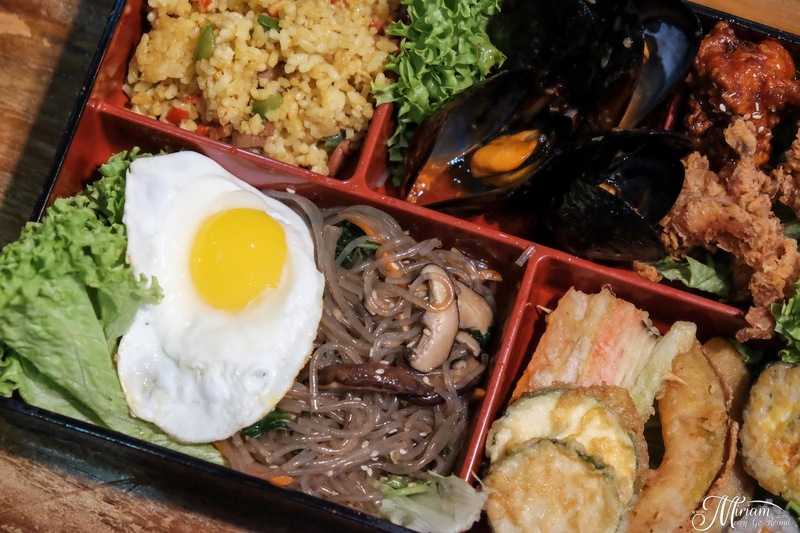 For RM19+ you get to choose from an assortment of Korean dishes to fill you up. This special Bento Buffet is only available at the Bangsar branch. 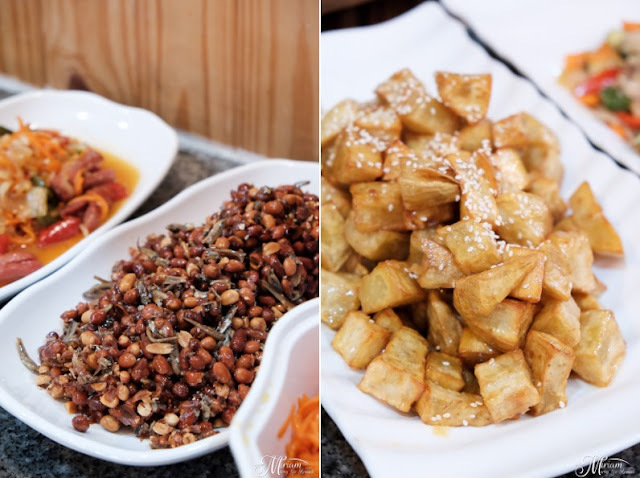 You have your assortment of banchan also known as side dishes. I was delighted to see that they have my favourite banchan which is the anchovies and groundnuts. I tell you if I have a packet of it, I could just snack on it on its own! 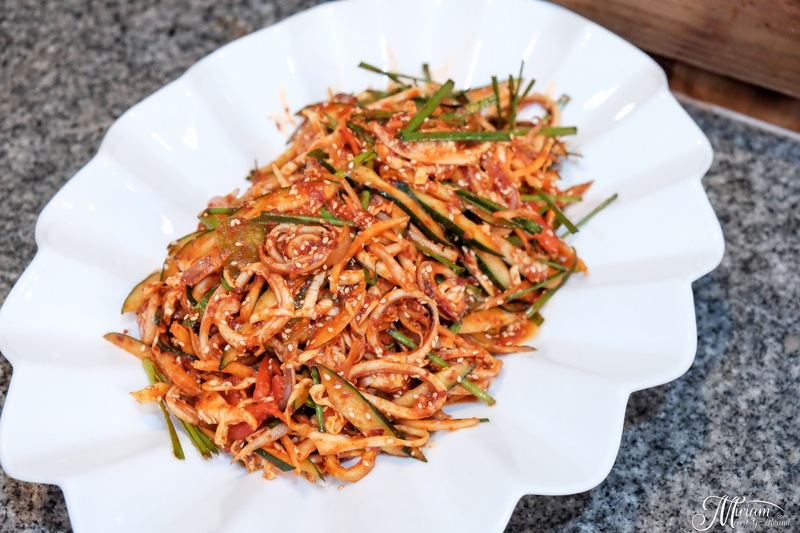 Kimchi is pretty decent as well with their other traditional side dishes to pair. 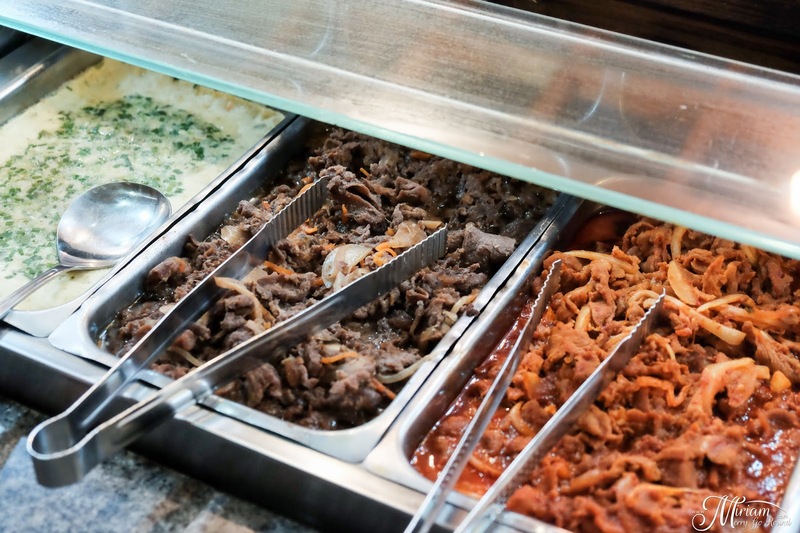 You also get to choose from a variety of meat and seafood selections. The buffet spread is decent enough for the price plus they refill it regularly in small portions. 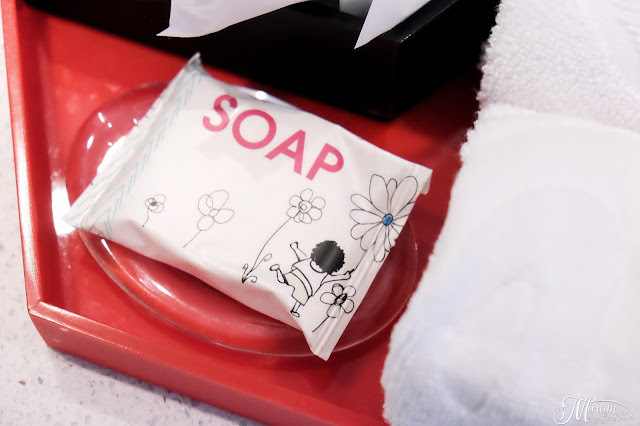 So you can be assured that the dishes are still fresh. You should definitely try their beef bulgolgi which has been marinated really well just the way I like it. 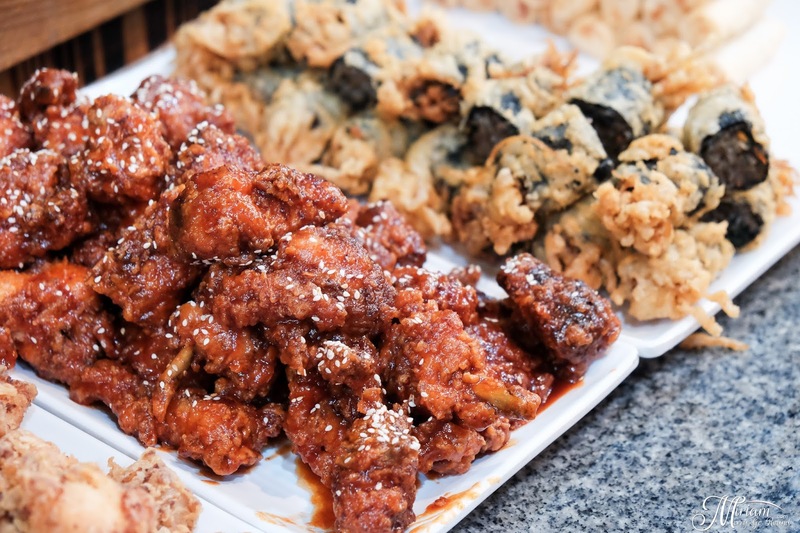 They even have fried chicken and twigim or also known as fried assortments. The fried chicken comes with two different flavors - spicy and regular. Take the spicy! It's really addictive especially the heat. I like how they have some regular Korean street food fried assortments like the seaweed glass noodle roll. Not something you would find on a daily basis so that's a plus point for me. 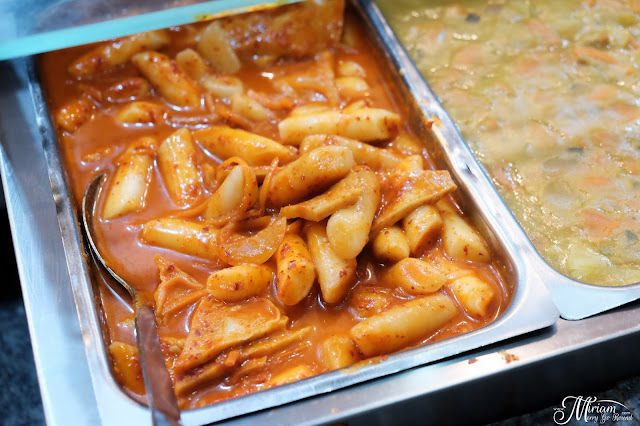 You also have your fill of tteokbokki, japchae, fried rice and others just in case you are a really big eater. 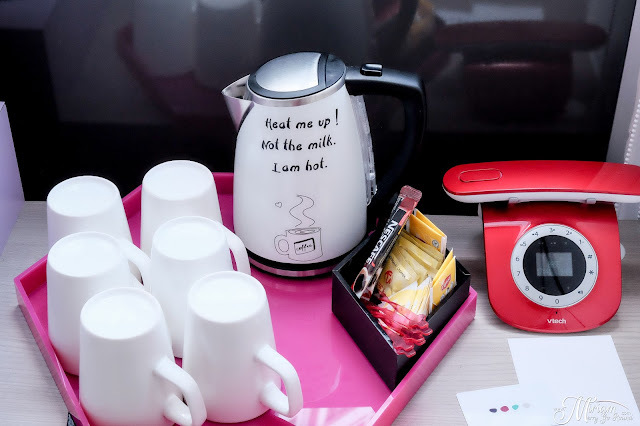 For RM19+, the spread is sure to fill you up feeling satisfied and contented. It's good to see that they do not neglect the quality of the food even though it is a buffet spread. Note: Do remember that you have to finish up your food before refilling it at the buffet counter. Don't waste guys... there are so many out there that have no food to eat. 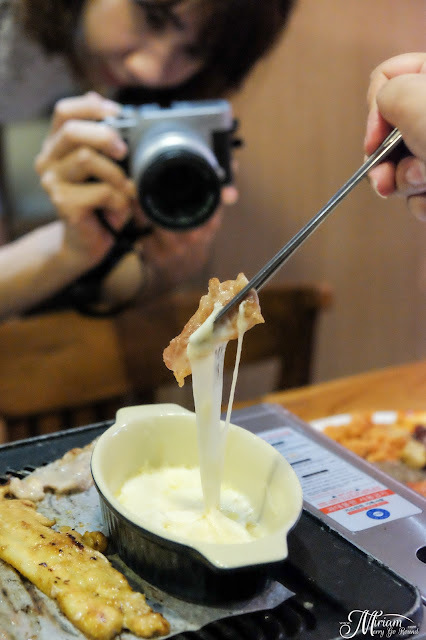 So moving on the Korean BBQ, for those of you like me who love Korean BBQ just add on RM20 for free flow meat! 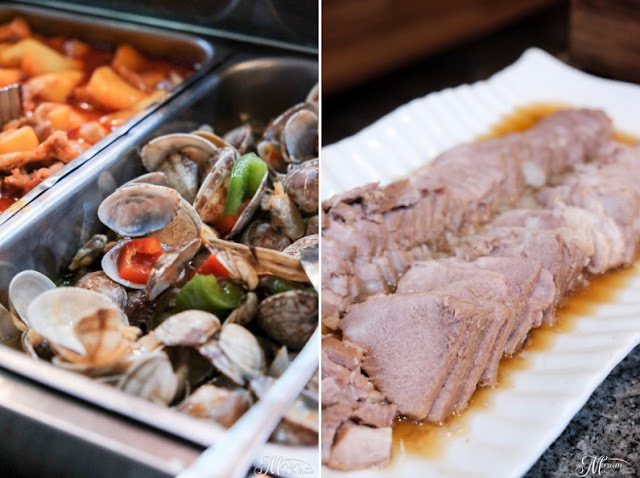 For just RM39+, you get to enjoy unlimited flow of meat, marinated and non marinated. Grill it right in front of you and fill yourself up. There are so many meat options from beef to lamb to pork, marinated and non marinated. There is even cuttlefish too. I cannot recall which is my favourite because they all taste so good! Make sure to try them all and then top up on the ones you like best. The grill used at San Nae Deul Bangsar is quite different from the other Korean BBQ places that I visit. 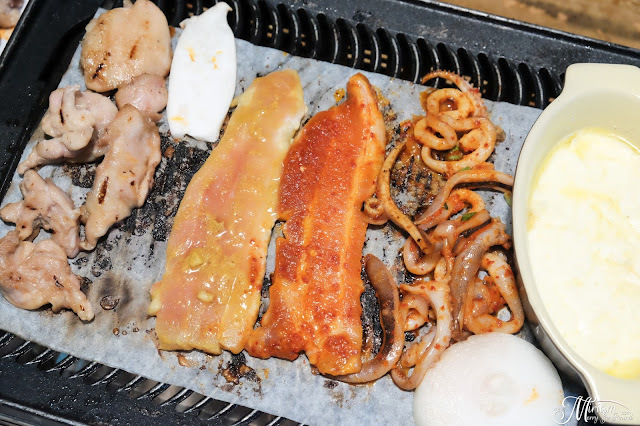 Instead of using the traditional charcoal grill, they actually use the portable grill and also a parchment sheet. This actually prevents the meat from sticking on the grill and also absorbs the excess oil making it less oily. I realize that it is not as smoky like the charcoal grill so you won't smell as bad when you leave the restaurant. That's not all because you will actually get a serving of cheese! Just look at that glorious cheese. Cheese just makes everything amazing. Wrap your meat with that cheese and just forget about all your worries especially your calories. 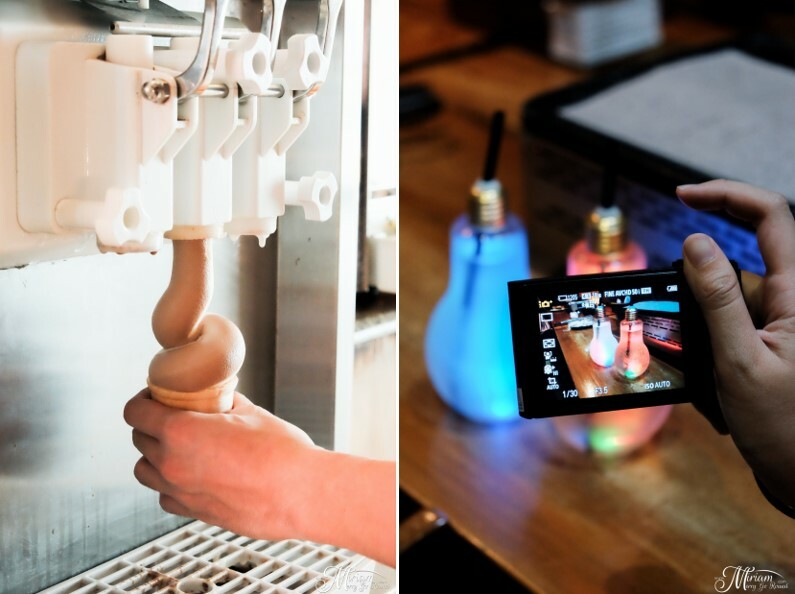 Before ending your meal, don't forget to grab a cone of soft serve ice cream or get a drink with their cool LED light bulb bottles! It sure is fun to have a little gimmick in your food. 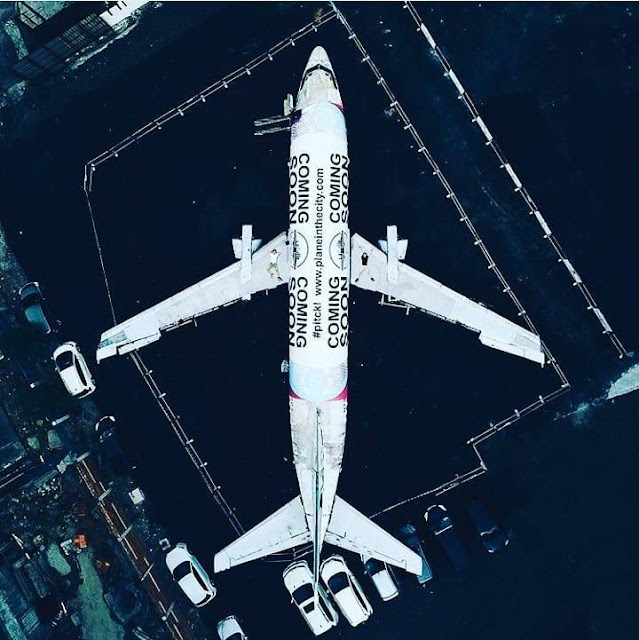 WIN A TRIP TO KOREA!! Wait.. don't go yet! San Nae Deul is having a super huge LUCKY DRAW for all their diners. You can stand a chance to win Restaurant Vouchers, Samsung S8 and even a trip to Korea for 2 Pax. Here's the list of amazing prizes you can win when you dine at San Nae Deul. 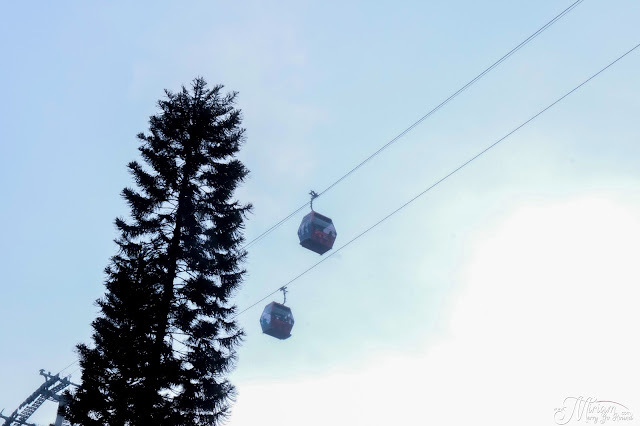 I can never say no to a staycation invitation, what more an invitation to stay up in Genting Highlands with the cool weather. My childhood memories of Genting Highlands are mostly around the Outdoor Theme Park and staying in the Theme Park Hotel. 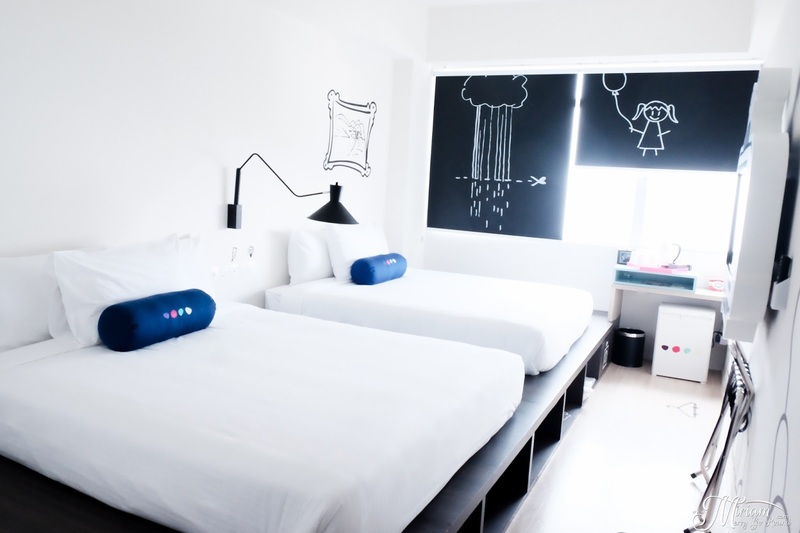 Now that the theme park is being rebuilt to make way for Twentieth Century Fox World theme park, the Theme Park Hotel has also undergone a makeover. Being one of the oldest hotel at Resorts World Genting, the Theme Park Hotel was built in the 70's and formerly known as the Highlands Hotel. I can't count the numerous ghostly tales about the Highlands Hotel when I was younger. After being closed since the closure of the Theme Park, the hotel now opens up its doors with a new look and a new name. Now known as Hotel On The Park - a nod to its proximity to the first-in-the-world Twentieth Century Fox World theme park. With no structural changes and with the hotel still retaining its 448 rooms, the resort was able to find a way to house more families in the existing space. All ready for the Twentieth Century Fox World theme park to be opened. The new look of Hotel On The Park captivates you as you walk into the 8,000 sq ft lobby with its whimsical interior. 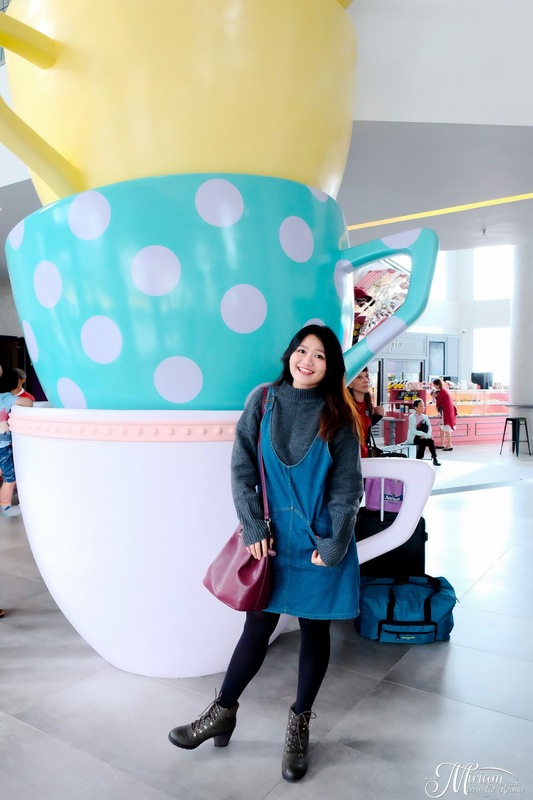 Be greeted by a pillar of higgledy piggledy stacked ‘giant’ tea cups which reach the ceiling as well as a ‘giant’ bench for our customers to sit on while waiting for check-in. 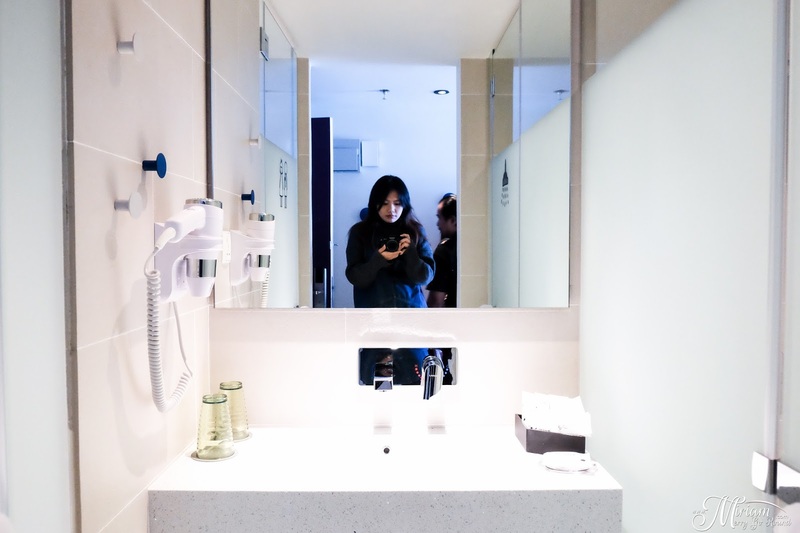 A bank of trick mirrors also underscores the sensation of a new world of creative madness, mirroring Alice’s reaction as she fell into the rabbit role in the classic Lewis Carrol story – Alice In Wonderland. 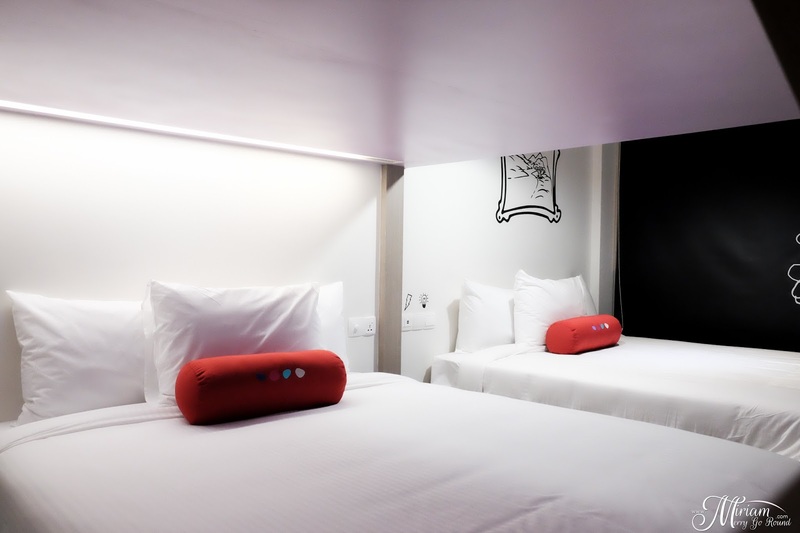 Currently there are two types of rooms in Hotel On The Park - Sixers and Quads which can house six people and four people comfortably. After checking in and getting our keycard for the Sixers room, it was time to have a look at the new rooms! 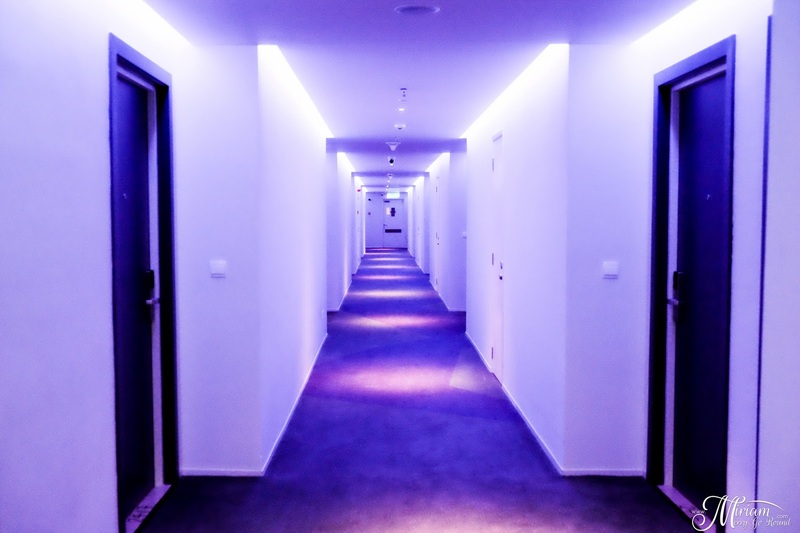 The corridors were lighted in a wash of coloured lights welcoming you as you locate your room. 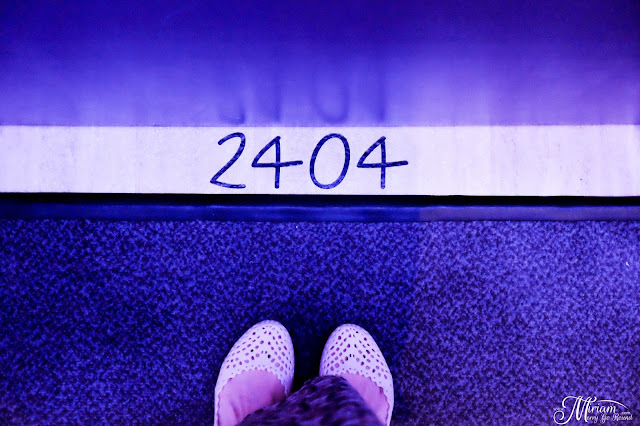 If you are wondering where are the room numbers, look down as they are actually hand painted on the floor in front of each room. My memories of the old Theme Park Hotel was a rather cramped room that could house around two to three people but just look at the new layout of Hotel On The Park! Expecting a wave of visitors with the soon to be opened Twentieth Century Fox World Theme Park, the capacity of each room has been doubled. 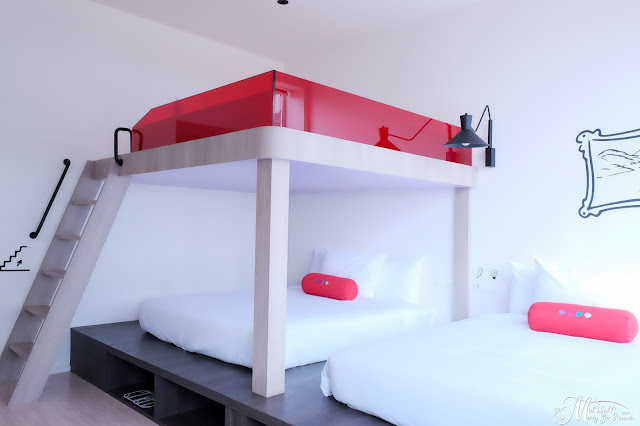 By making the beds the central feature of the room, most rooms now feature a built in tatami-style raised platform with two queen sized beds. 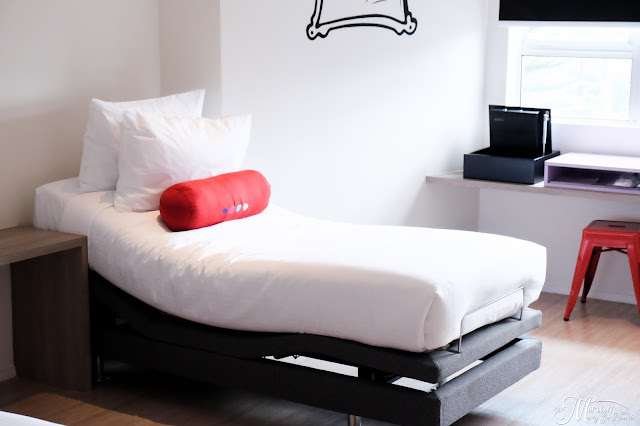 Not only that, for the Sixers room, it comes with a built-up bunk bed above the platform which holds another queen sized mattress - effectively enabling six visitors in the room. Here's a tip: Push the two queen sized beds together and you can fit even more! 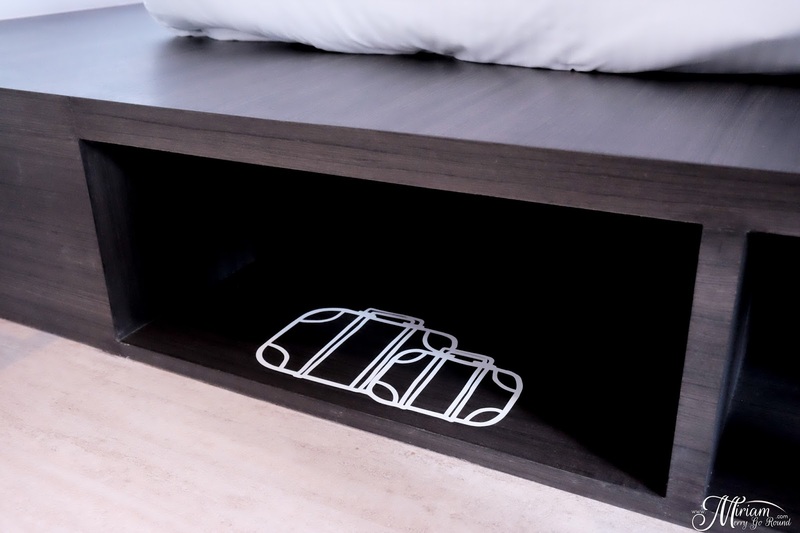 The raised sleeping platforms also serve as storage spaces as you can fit your luggage in them; saving more space! No more messy luggage all around the room. 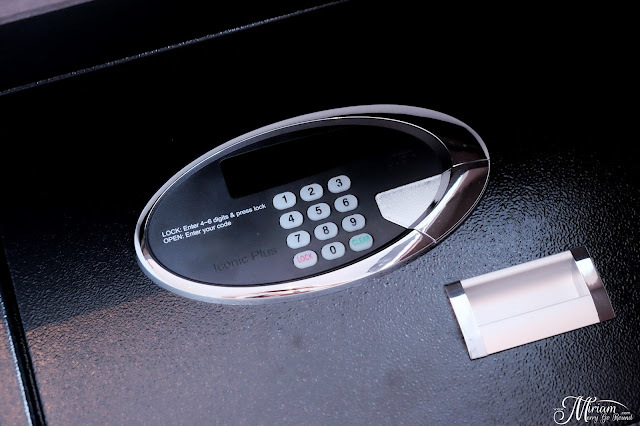 You will also find the room safe built into the drawer space. I just love the new fun illustrated interior of the room such as the closet which is actually knobs which artists have drawn outlines of the closet. 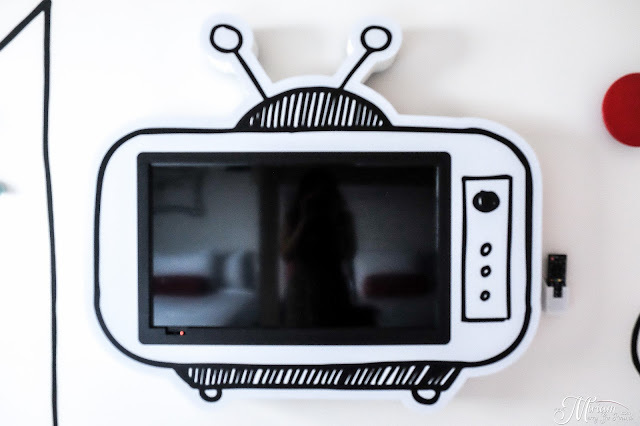 The TV set is also hung on brackets with artwork around it making me feel like I have dropped into an illustrated world. 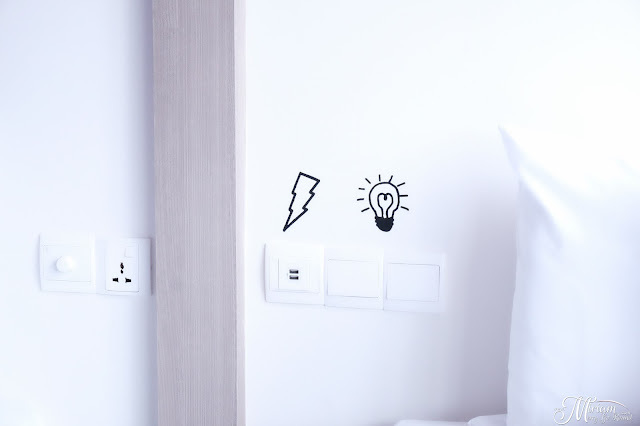 There is also plugpoints and USB plug points available near the beds so that you can make sure your phones are always ready to take photos. 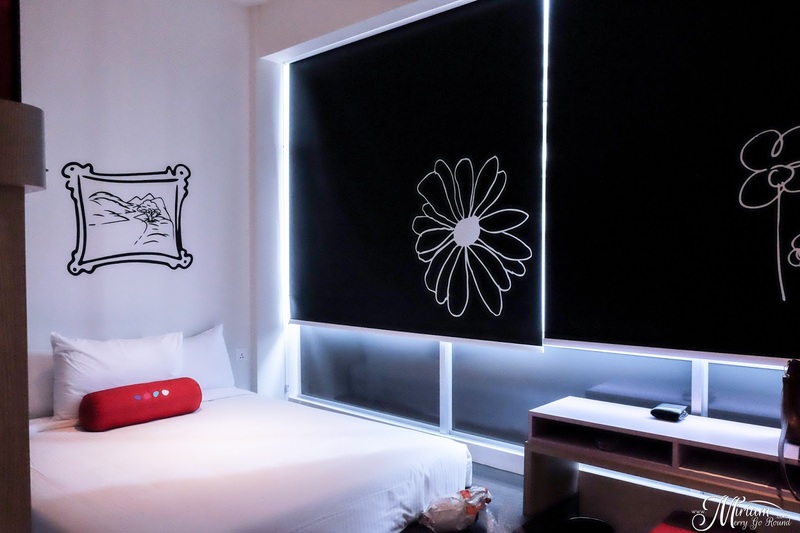 Instead of expensive heavy (sometimes dusty) drapes and curtains, you now see hand drawn designs in white pain on blackout roller blinds, resulting in original works of art in every room. Each room has its own individual touch to it. Everything from the wall art to the telephone and even the complimentary toiletries emit the fun and young vibe. 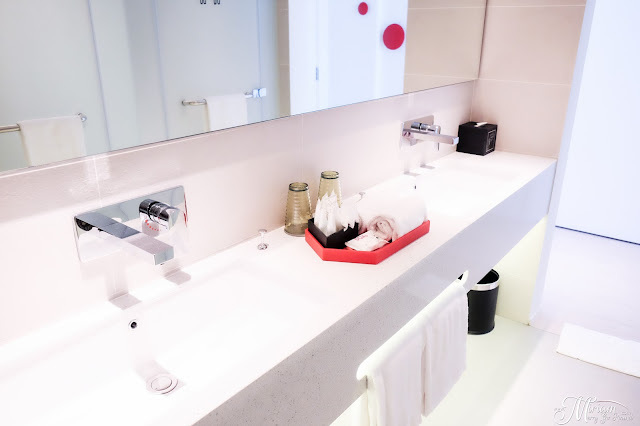 Bathroom space was spacious enough with two sinks for the Sixers room and also with two huge mirrors! So girls, no worries about fighting for the toilets. 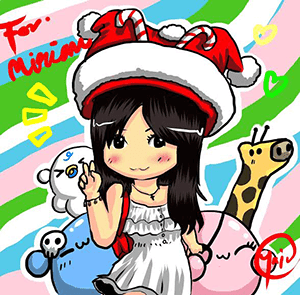 I had an amazing sleep that night with such a huge bed and plump pillows. For a group outing this room will be so ideal especially for girls because it's like having a huge sleepover party! Chat away all night long when everyone is in the same room. 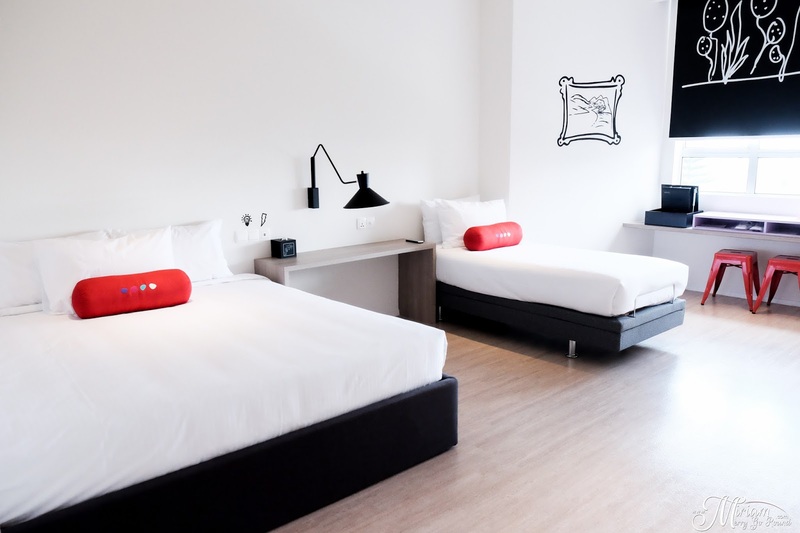 For a slightly smaller group, get the Quads room which comes with two queen size beds. The interior of the room is similar with the Sixers room with the fun and whimsical decor. 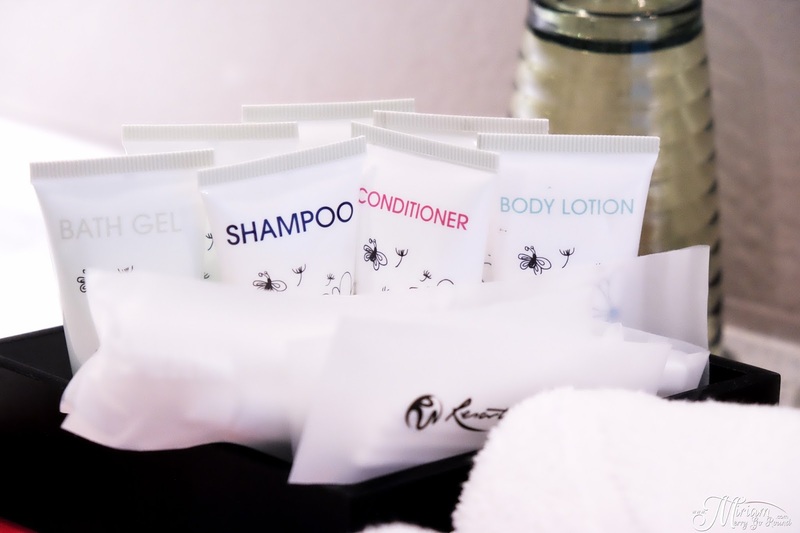 Amenities are well provided and the room is spacious enough for you and your friends. 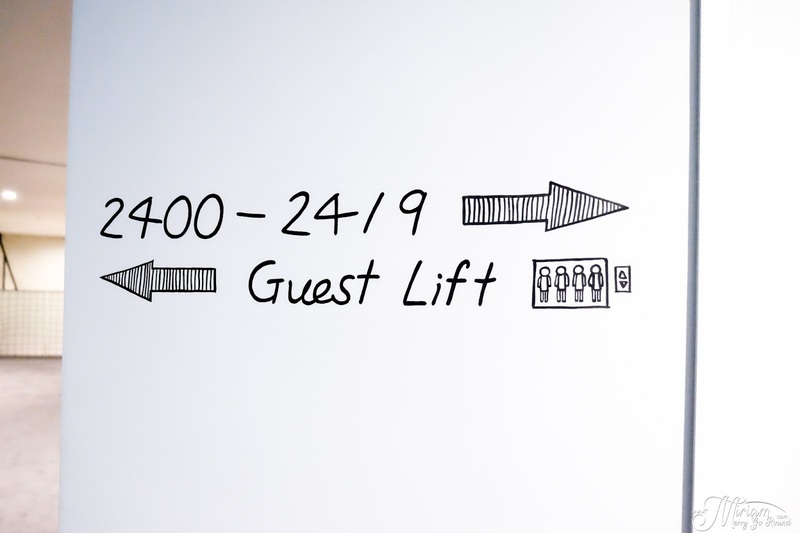 There is another room that is specially reserved for guest who have disabilities or senior citizens who have difficulties to commute. 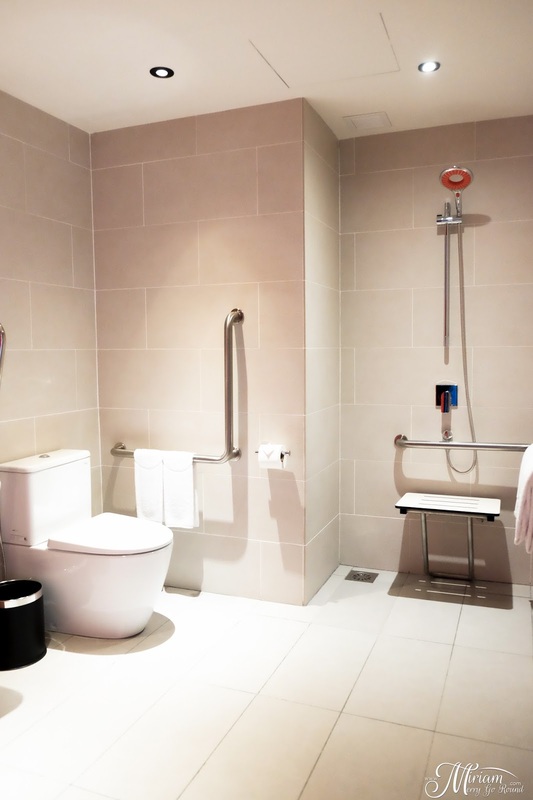 For these guest, a special room will be opened up to meet their needs which includes a disable-friendly washroom as well as an adjustable bed. Room space is larger to accommodate wheelchairs and there are two beds in this room. For this room, you need to request during booking or walk-in (subjected to availability). It's really great that Resorts World Genting actually thought about having this room so that all their guest are able to enjoy their stay. 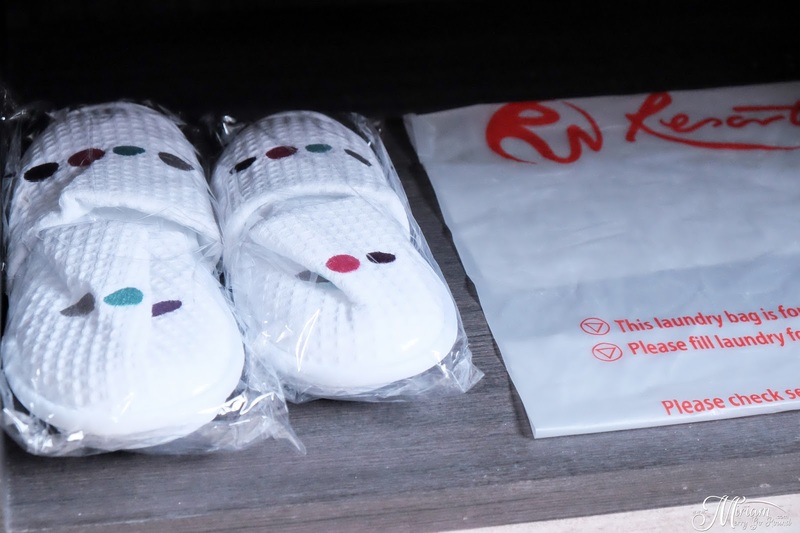 Here are some things you can do when staying at Hotel On The Park before the theme park is opened. 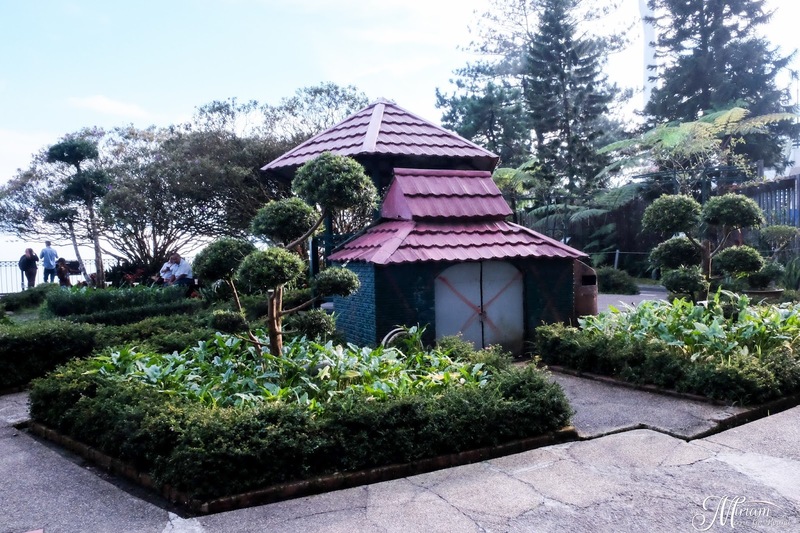 Step into the English Talking Garden located just behind the hotel and enjoy the wonderful fresh air and scenery. The Garden is opened from 8am - 10pm daily plus you can see the fountain getting lit up at night too. 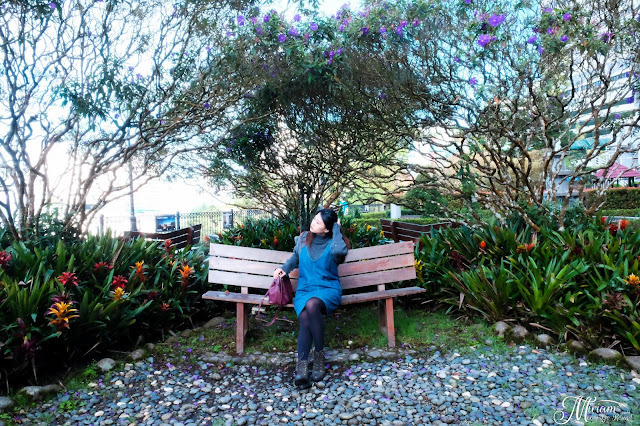 This is an awesome place to snap those Instagram OOTD photos and capture memories with your friends. Just a few minutes walk away from the hotel and you will arrive at Sky Avenue which houses plenty of eateries that will satisfy you. 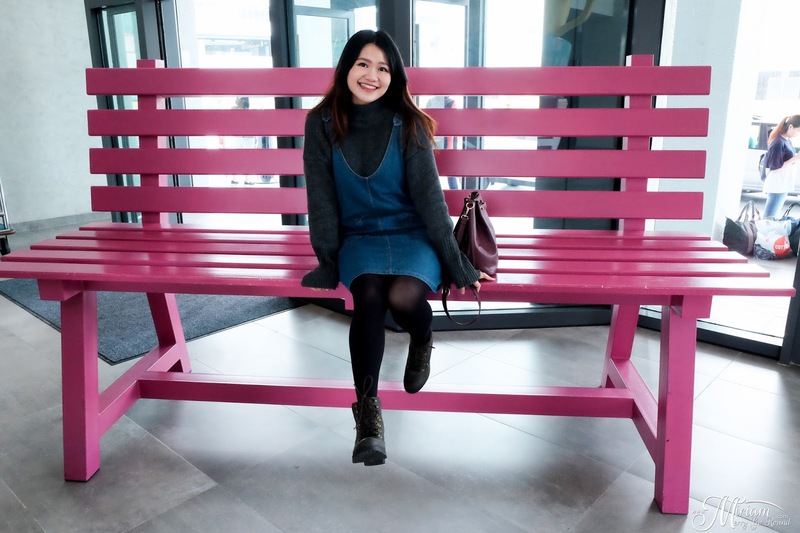 I definitely enjoyed most of the eateries during my 36 Hour Food Trail. 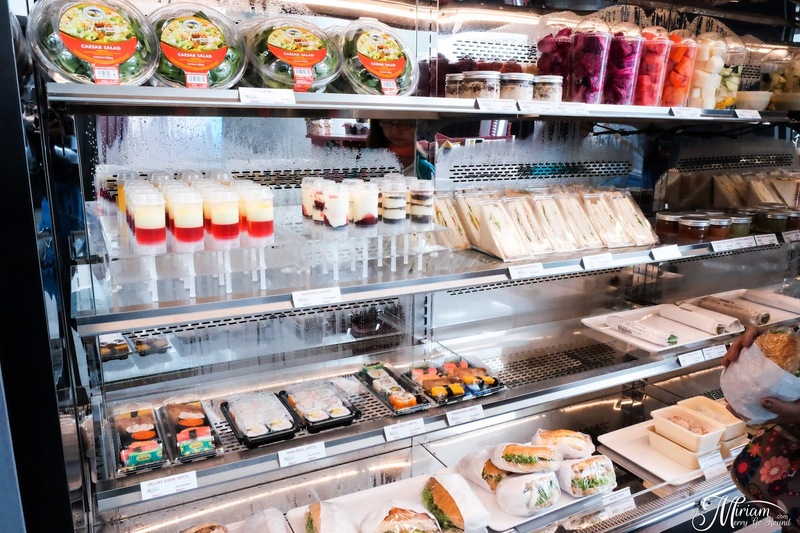 You can eat or shop to your hearts content at the numerous shops available. 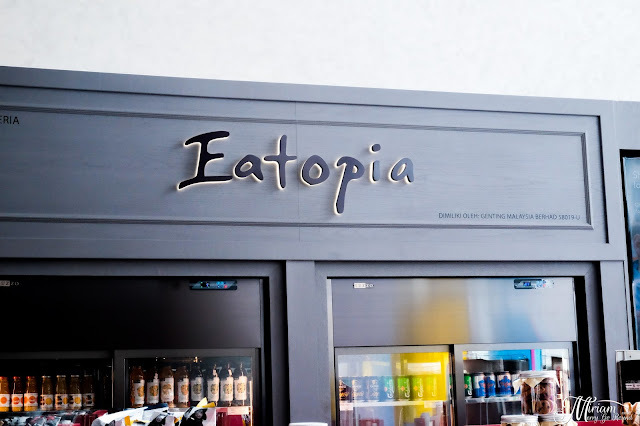 If you are hungry and lazy to walk to Sky Avenue, just grab a bite at Eatopia located in the lobby of the hotel. 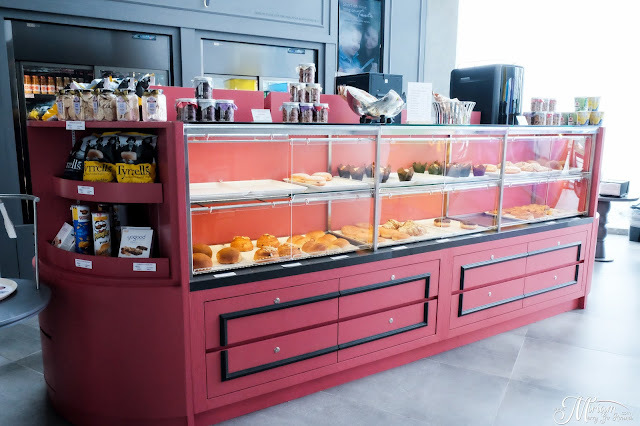 They have much to offer including assortments of bakery items, heat-and-go wraps and pasta, Malaysian staples like nasi lemak, as well as hot and cold beverages. There is also a selection of healthy breakfast for the healthy geeks. Enjoy your meal facing the scenery of the English Garden or maybe grab a pastry and enjoy it in the English Garden itself. 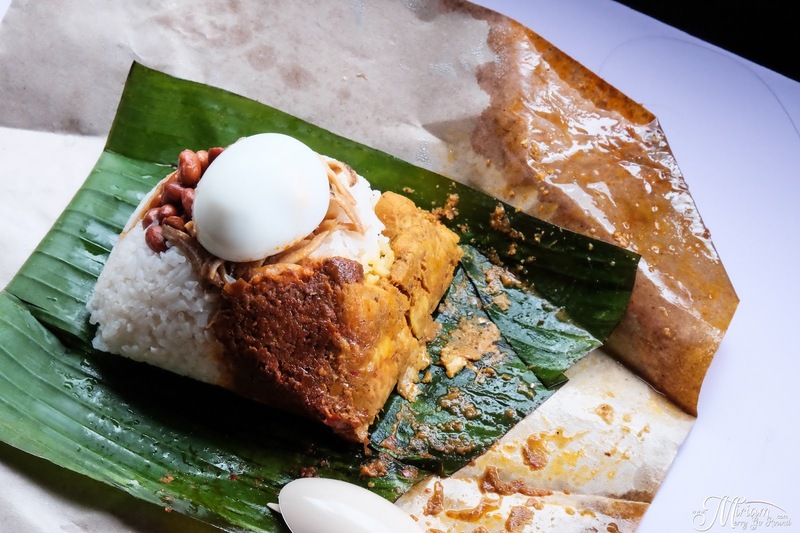 I had their Chicken Nasi Lemak and oh boy was it so good! Unexpectedly good and very filling too. 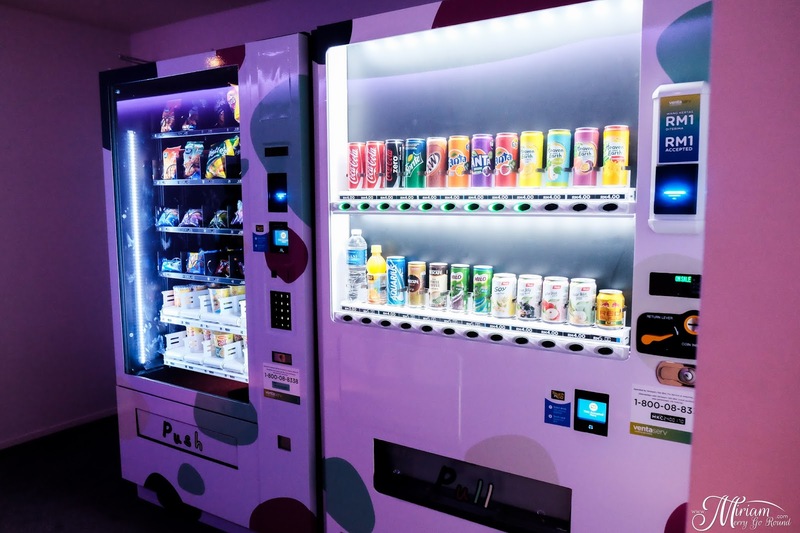 Not only that, there are actually some food and snack vending machines located on the fourth/fifth floor. So don't worry that you will starve or die of hunger if you wake up in the middle of the night. 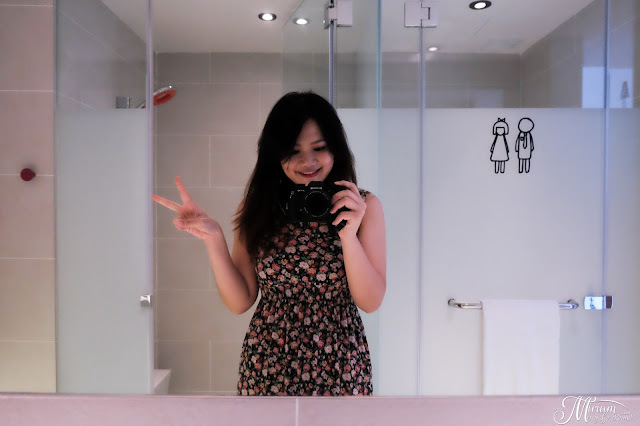 Overall, I had an amazing, fun and relaxing weekend staycation at Hotel On The Park and I just can't wait for the theme park to be opened. I'm sure that the hotel occupancy would be fully booked when that day comes. 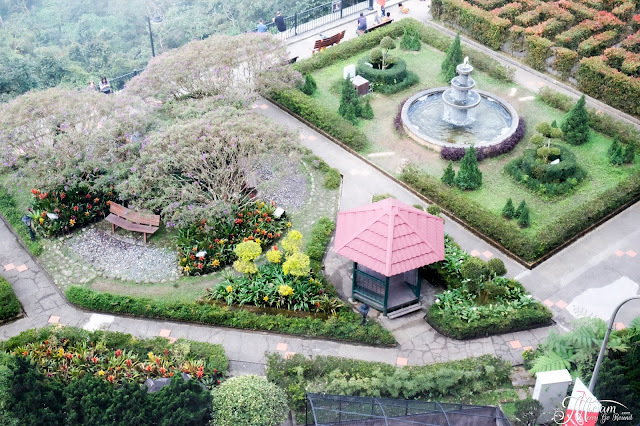 One tip: If possible try to get the room facing the English Talking Garden because the view is just gorgeous and also not so noisy compared to the lower grounds. For more information on Hotel On The Park, please visit www.rwgenting.com or call 03-6101 1118. So what are you waiting for? Hurry go book a room and enjoy a few more long holidays in September.